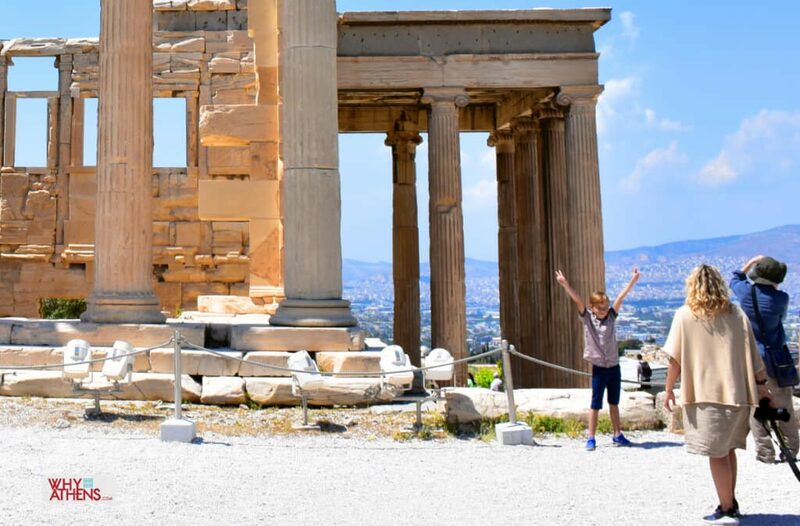 Whether your kids are big or small, Athens is the perfect city destination to explore as a family at all times of the year. 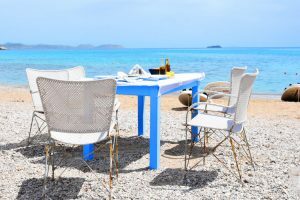 With a vibrant food scene, your children will relish in the delicious and healthy flavours of Greece that includes an abundance of fresh fruits and vegetables, exceptional olive oils and the world renowned Greek yoghurt. Loukoumades is one of the many decadent desserts that must be tried at least once! Beyond good eating, Greeks have an inherent love of children which makes travelling in and around Greece an absolute dream for parents. 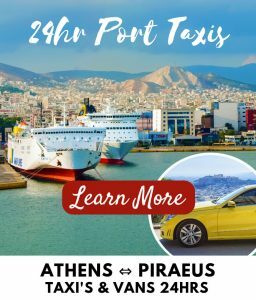 Athens offers everything you would hope for when holidaying with children and a little planning will go a long way to get the most out of your visit to this vibrant city. 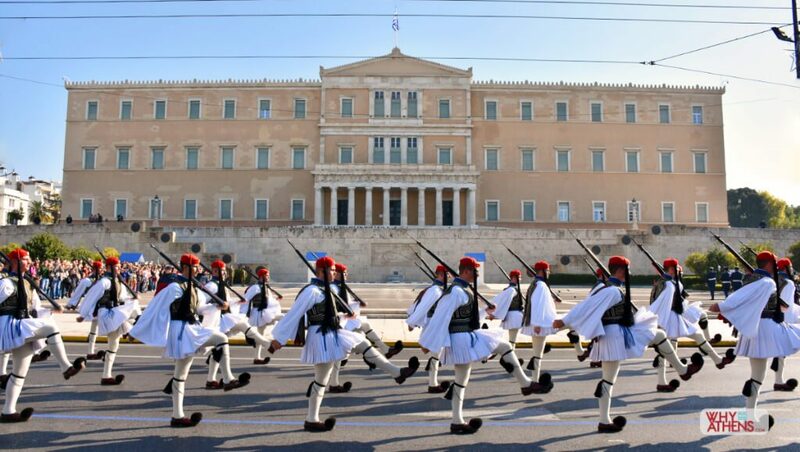 Start your leisurely Sunday watching the ceremonial and grand parade of the Evzones dressed in their traditional white kilts (Foustanella) as they march to Hellenic Parliament in Syntagma for the changing of the guard. Get there by 10:30am for prime position when roads are closed off and people fill the streets. It lasts about 30 minutes and from here you can enter the National Gardens next door to the parliament building, for refreshments in a quaint garden café. Surrounded by lush greenery with thousands of trees and plants, this is an ideal escape from urban Athens. 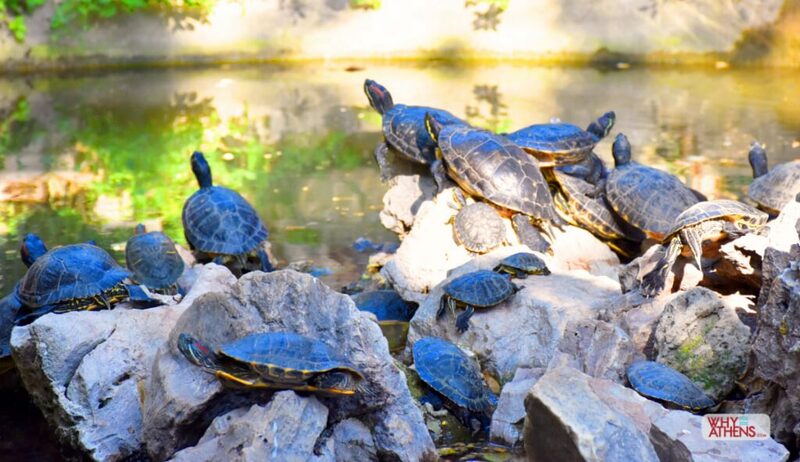 Kids will adore the duck and tortoise pond, a small animal sanctuary and the freedom to play in a large shaded playground near by. Exit the gardens directly into the iconic Panathenaic Stadium or what the locals refer to as “kalimarmaro” (good marble), the only stadium in the world built entirely out of marble and where the first modern Olympic Games took place in 1896. 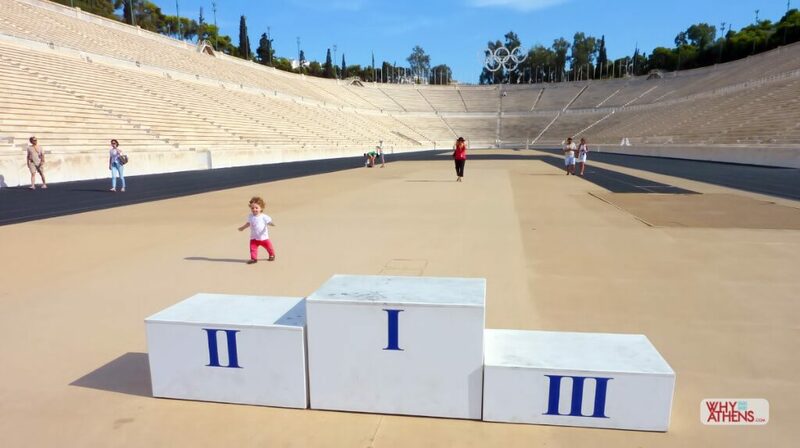 It’s a perfect spot for children of all ages to release their Olympic spirit and run an imaginary race around the track. No trip to Athens is complete without climbing to the top of the Acropolis as well as exploring the archaeological site of the Ancient Agora that lies beneath. There are many hills to climb in Athens, but if you were to choose just one, this would be it. There is plenty on top to keep kids engaged but a private tour designed for families is a smart way to keep kids engaged and get to the heart of this ancient city, at a pace that is right for you and your family. 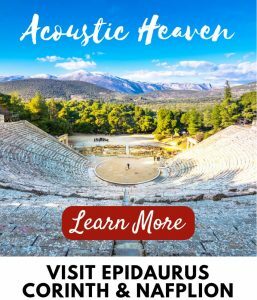 There is also an interactive tour designed for young people to explore the Ancient Agora guaranteed to keep kids entertained for at least two hours. No visit to Athens would be complete without a trip to the Acropolis Museum. The building itself designed by acclaimed architect Bernard Tschumi is a spectacular modern design, offering uninterrupted views overlooking the Acropolis. Glimpses of an ancient city can be seen through glass panelled floors on the ground level, which always seems to thrill children. Family backpacks are available on request which allows families to work together to complete activities as they make their way around the museum. Don’t miss the impressive model of the Acropolis on the second floor, built out of 120,000 pieces of Lego. Find more information about visiting the Acropolis Museum here. Baby strollers are available free of charge from the museum’s cloakroom and there are baby changing facilities on the first floor gallery. The bookshop stocks a wide range of contemporary children’s books with themes around the Acropolis and ancient Greek history. 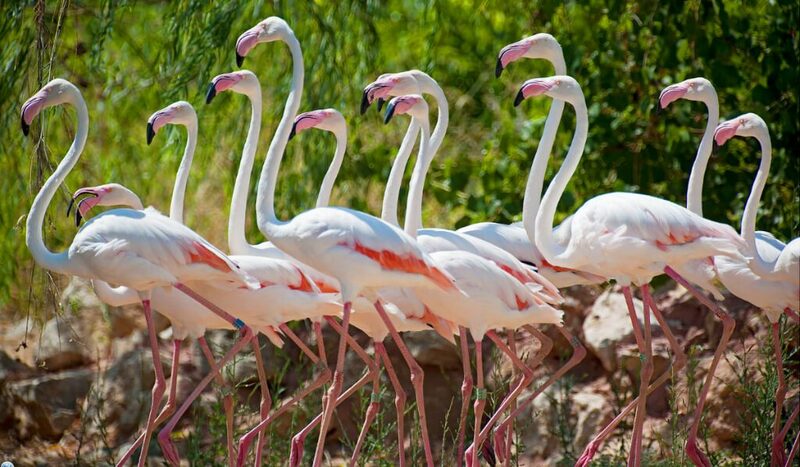 What originally started as a bird park is now home to thousands of wildlife species and is considered by many to be one of the best zoos in Europe. You will find lions, tigers, elephants, giraffes, zebras, monkeys, rhinos, camels, penguins, crocodiles and much more in this superbly maintained park where all the animals are happily living in large well maintained spaces. The entertaining dolphin show is a real highlight. A charming small farm and playground seems to captivate small people. Grounds include baby changing facilities and stroller-friendly pathways. A cafe with a huge lawn makes it the ideal pit stop or for a picnic overlooking the grazing giraffes. Find more information here. The Stavros Niarchos Foundation Cultural Center is a recent addition to the Athens cultural scene, located in the southern suburb of Kallithea, this magnificent building is the new home to the Greek National Opera and state library. Designed by award winning architect Renzo Piano, this striking contemporary cultural centre features daily events and extensive outdoor spaces to explore that are planted with Mediterranean plants and flowers along with hundreds of olive and pine trees. Children enjoy the playground and musical stepping notes hidden within the lush gardens. The scents of lavender, thyme, rosemary, oregano and more will accompany you throughout your time here. Bicycles can be hired for cycling around the grounds. Children’s bikes (for ages 5 – 13) are also available. 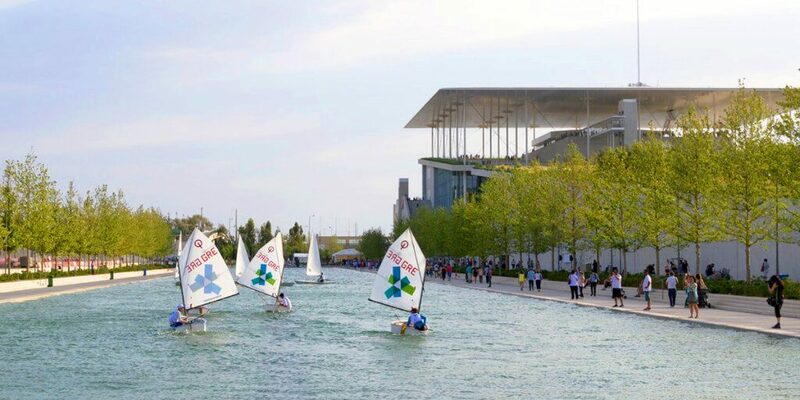 Interactive sailing lessons are available, with different boat types both in the SNFCC canal and on shore. Suitable for children six years and over. Find information on events and registration at the SNFCC here. 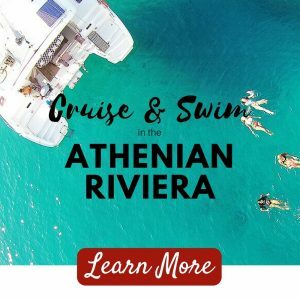 If you’re visiting Athens during the warmer months, do as the locals do and head to one of the many family friendly beaches with crystal clear waters that are easily reached from central Athens. Akti Vouliagmenis is one of the best equipped beaches with tennis courts, basketball and beach volleyball. You’ll find all the extras here including beach umbrellas and chairs, toilets, first aid station and change rooms. Vast green lawns allow families to also enjoy the weather off the beach. Varkiza Resort at Yabanaki beach is a fun all day beach club with a number of cafes and restaurants to choose from. A sandy beach with shallow waters makes it an ideal choice for small kids and plenty of water sports are on offer for grown up kids. The House Project in Glyfada provides all the comforts for spending a day by the sea. This oversized beach house offers a number of indoor and outdoor play areas for young children, a library and casual all day dining with children’s menus. Beach chair service for food and drinks makes it very family friendly. Get there before noon to grab a beach bed! Find information on all the best beaches in Athens here. 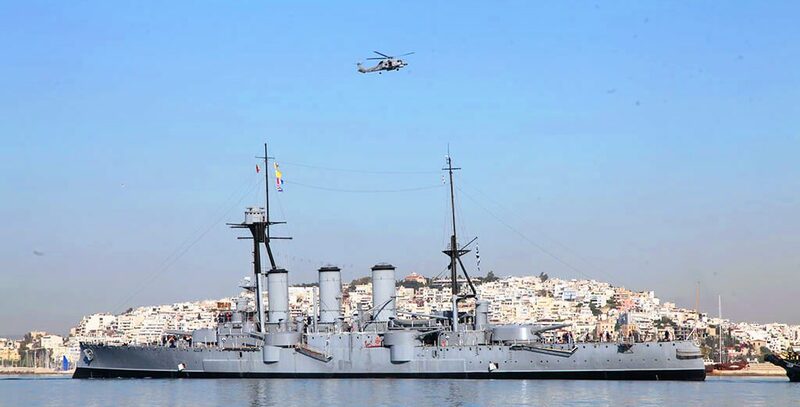 Greece has a longstanding maritime history and located in a small marina in the southern coastal area of Faliro is this impressive battleship, which played a pivotal role in establishing Greek sovereignty over the Aegean Sea in the 20th century. It was turned into a museum in 1984. Older children will be fascinated to see all the decks and sub decks of the ship as well as various exhibits within. A visit here is easily combined with a stroll along the pedestrian promenade of Flisvos Marina which offers plenty of cafes, restaurants and a large park on the waterfront. The children’s playground is impressive with trampolines and water pedal cars but you will struggle to get your kids to leave! The upside is there is a cafe overlooking the play areas. A fun way to takes in major attractions and get around the city with children, the Happy Train is a toy-like street train that allows you to hop on and off as you please. 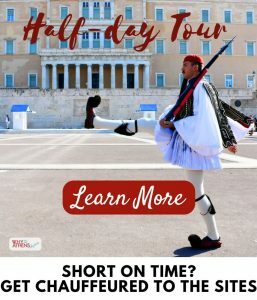 The journey lasts approximately 40 minutes and takes in key sites and locations such as Hellenic Parliament, the Temple of Olympian Zeus, Hadrian’s Arch, the Museum of Cycladic Art whilst journeying through historic neighbourhoods of downtown Athens including Plaka and Monastiraki. The train provides commentary in both English and Greek and departs every 30 – 40 minutes from Ermou Street and Syntagma (Constitution) Square. 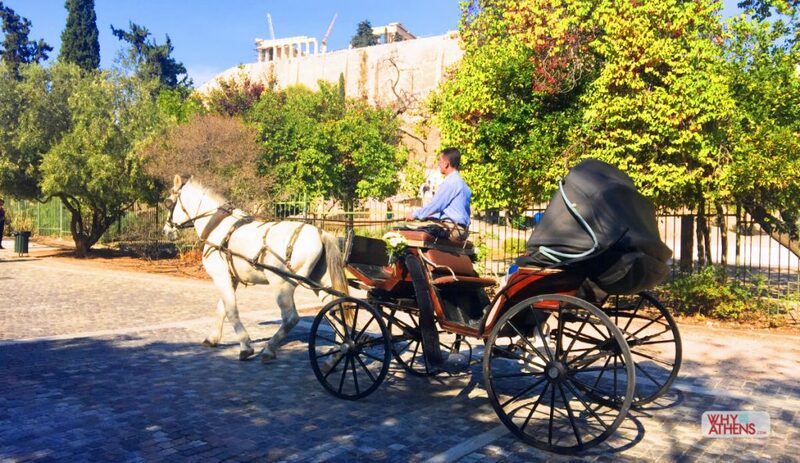 This horse and carriage ride is a throw back to how the surrounding area of Dionysiou Areopagitou Street might have once looked 100 years ago, today it is one of the most scenic promenades in the world, with cobbled pedestrian only walkways and grand neoclassical buildings lying adjacent to the southern slope of the Acropolis. You will find the man and his horse chariot at the intersection of Dionissiou Areopagitou and Apostolou Pavlou at the Odeon of Herodes Atticus end of the Acropolis. 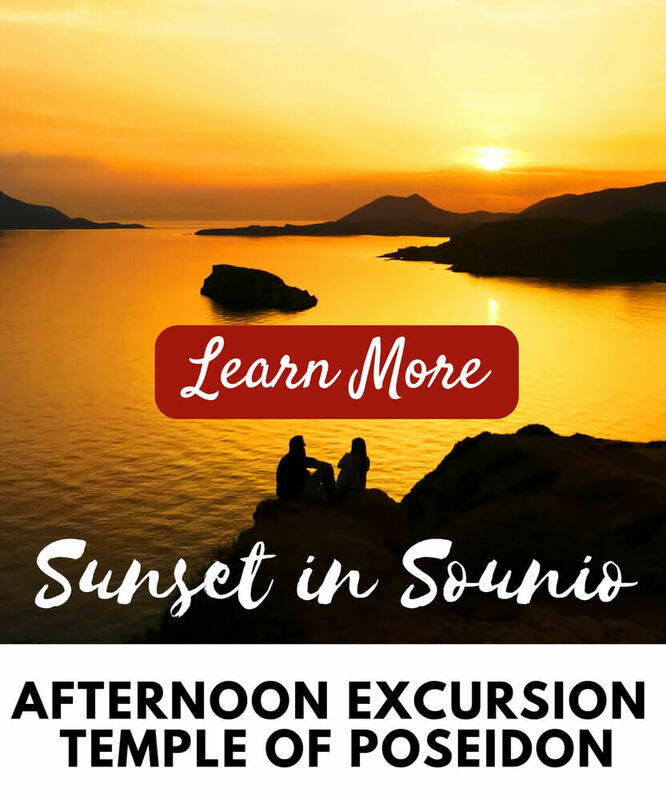 You can’t pre-book this excursion, you simply have to turn up and be ready to hop on or arrange a suitable time with the driver. 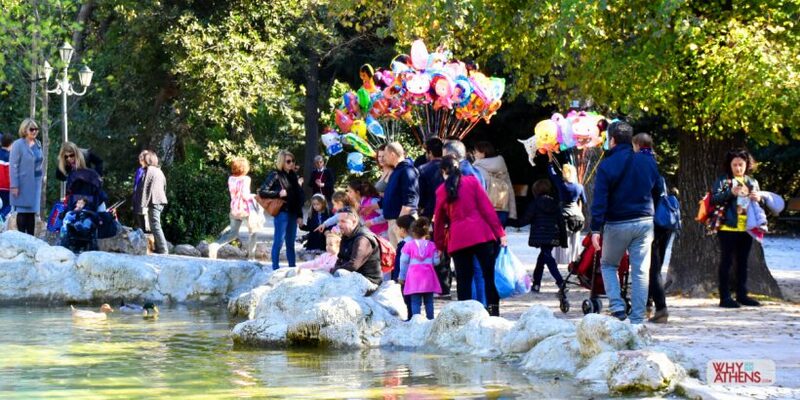 Young kids will be squealing with excitement, a typical ride circles around the base of the Acropolis, through the surrounding neighbourhood of Plaka and is an alternative and fun way to explore this historical part of Athens with minimum effort. The top of Lycabettus Hill provides the most sensational views across the city, spanning beyond the Acropolis and Panathenaic Stadium, to the Aegean Sea. At 277 meters above sea level, it is the highest point in Athens. 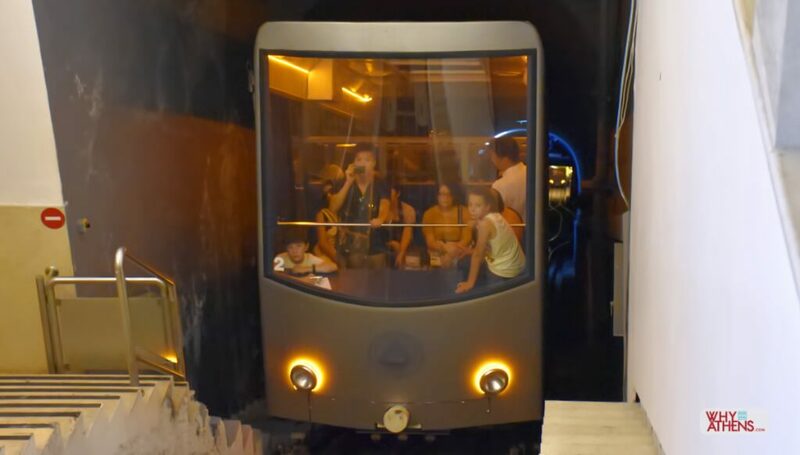 If you and your family are an energetic and fit group, you can trek to the top, otherwise hop on the funicular cable train that will take you all the way to the top in under five minutes. 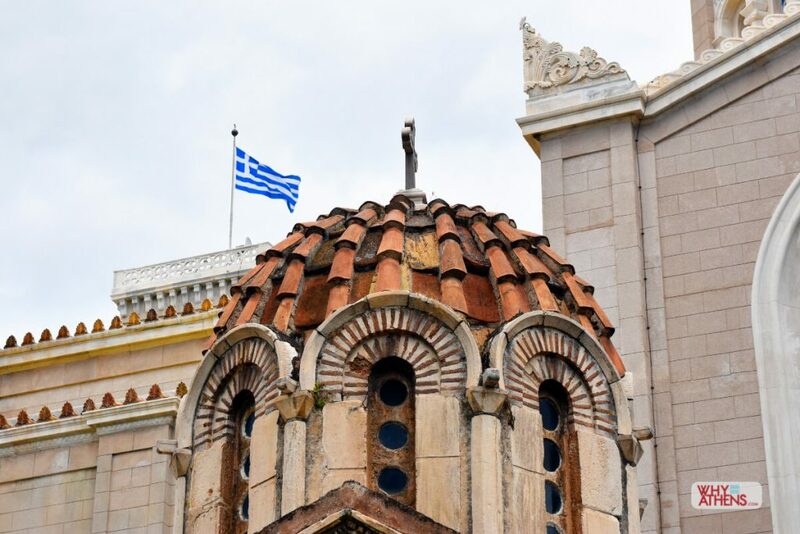 The downside is there are no views from inside the carriage but it all awaits you at the top, where you will also find the charming St George Greek Orthodox church and some of the best views of Athens. Food and drink facilities are available at the cafe next to the look out point. For a special dinner experience where you can see Athens lit up at night, you may consider booking a table at Orizontes. Find more information on visiting Lycabettus Hill here. Christmas ice skating is a fun and festive experience for the whole family. The most central (and popular) ice rink is at the Megaron Athens Concert Hall complex. Open from December to March and ideal for all ages. Find more information on Ice Skating in Athens here. 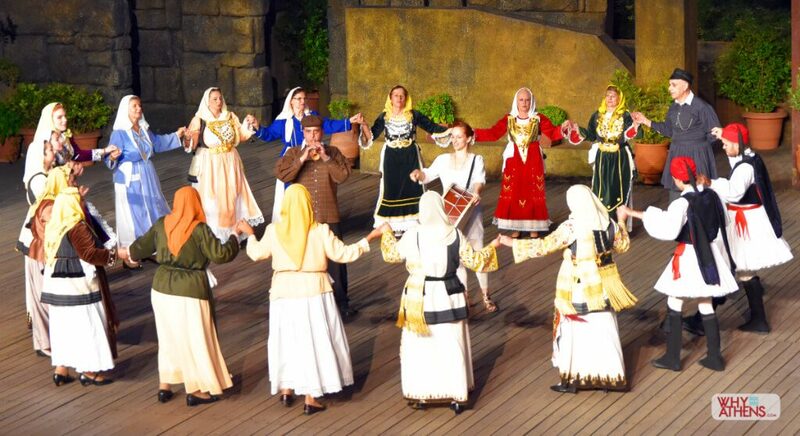 During the summer months, traditional Greek dancing takes place at the picturesque open air Dora Stratou Theatre, located on Philopappou Hill, opposite the Acropolis. It’s a very upbeat show with dancers, musicians and folk singers dressed in authentic Greek costumes and gives some cultural insight into local culture. Each dance represents a different island or province of Greece. Begins end of May through to the end of September. Find more information here. A much-anticipated outing for Athenian families is the Christmas Factory at Technopolis in Gazi, the former gasworks district of Athens. This cultural hub includes museums, galleries, trendy cafes and more. Children will meet Santa in his house and ride in his sleigh, take in the toy and sweet factory along with many more rides for kids of all ages, theatrical activities and imaginative workshops. The Christmas Factory takes place for four weeks every year starting from December to January. Find more information on the Christmas Factory here. 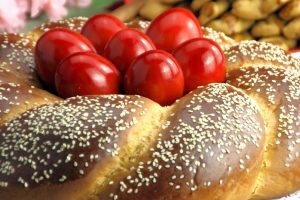 If you’re lucky enough to visit Athens during Greek Orthodox Easter you will find religious ceremonies taking place throughout the city in the lead up to Easter Sunday (all are welcome!). 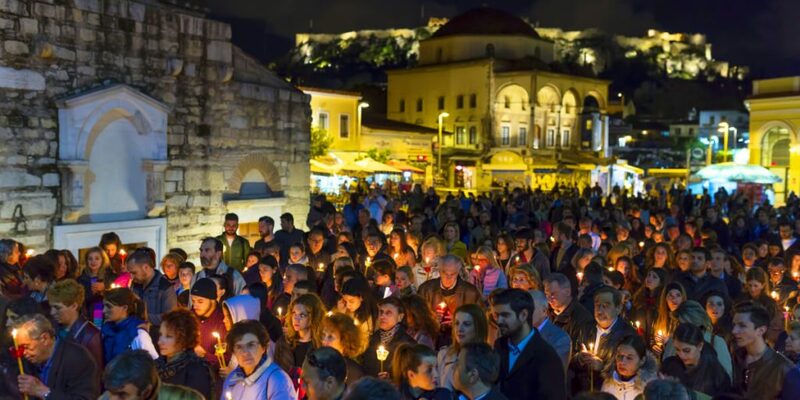 In every church on the evening of Good Friday, after the ritual of dressing of the epitaph (tomb of Christ) in flowers, the epitaph is brought out of its church to lead a candlelit procession through the streets, circling around the church before returning to be rested. The Church of Agios Georgios (St George) in Karytsi Square holds a procession through the streets of central Athens led by members of the Greek Navy. The mesmerising hymns sung at this church by the Themistoklis Polykratis vocal quarter are a favourite with locals. This church of St George is renowned for its Easter hymns which have been sung there for over 120 years and the most beautiful in the city. 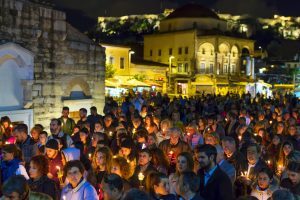 Find a full guide on Easter in Athens here. 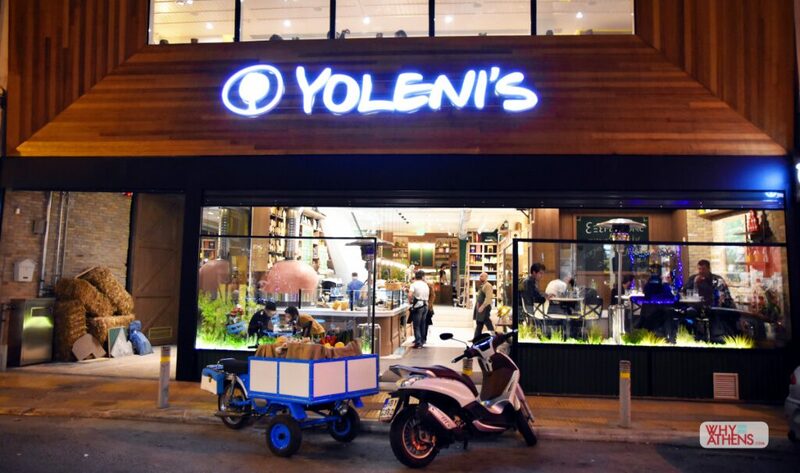 For a family friendly gastronomic experience, Yoleni’s is a favourite, located in the upmarket suburb of Kolonaki. This multi-storey building is a haven for all things Greek and delicious with a cafe, grocer, restaurant, wine cellar and olive oil tasting bar. A children’s creative workshop, is a colourful space inviting children aged 1 – 9 to participate in activities such as making miniature clay sculptures, painting and more. Children under the age of three must be accompanied by an adult. Enjoy lunch all together in the atrium on the ground floor with a delicious casual menu of wood fired Greek pies, salads, fresh juices and more. Find more information on Yoleni’s here. If you’re staying or visiting the southern coastal suburb of Glyfada, a welcoming spot for lunch or coffee is at Oliver Family House. A cleverly designed all-day café offering simple dishes with a creative playroom inside the café, making it easy for parents to enjoy some down time whilst the little ones are entertained with crafts and more. Find more information on the Oliver Family House here. Tucked away in a tiny alley in the lively downtown area of Psirri, is the fairytale wonderland of Little Kook. 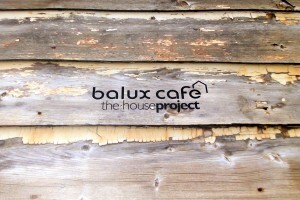 A truly special café that changes its theme every three months depending on the season. If you’re visiting during Christmas, Easter or Halloween, prepare to be dazzled by the glittering spectacle whilst you enjoy a coffee, tea or dessert. Find more information on Little Kook here. A healthy snack or dessert for kids, find authentic Greek yogurt at Fresko Yogurt Bar, a delightful pit stop located on one of the most beautiful pedestrianised streets in Athens. The owner went on a long journey around Greece’s yoghurt producing farms, in search of the perfect recipes resulting in some of the best Greek yoghurt you’ll find in Athens. Choose from four different varieties and top with aromatic Greek honey, nuts or local fruit preserves. Find more information on the best Greek yogurt here. 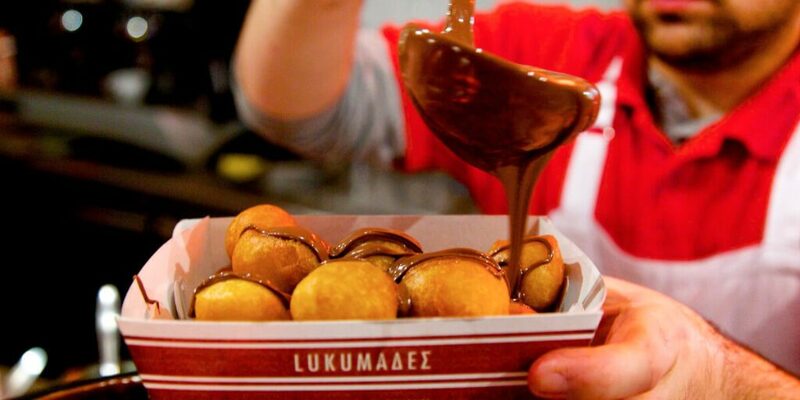 Loukoumades is Greek for yum! I haven’t met a child who doesn’t love this truly sinful dessert which are essentially doughnuts, traditionally drizzled with honey and cinnamon. The hip store of “Lukumades” in Agias Irinis Square has modernised the recipe and allows you to top with chocolate sauce or a myriad of other choices and accompany with ice cream. Eat in (limited seating) or take away. Read more about Loukoumades here. 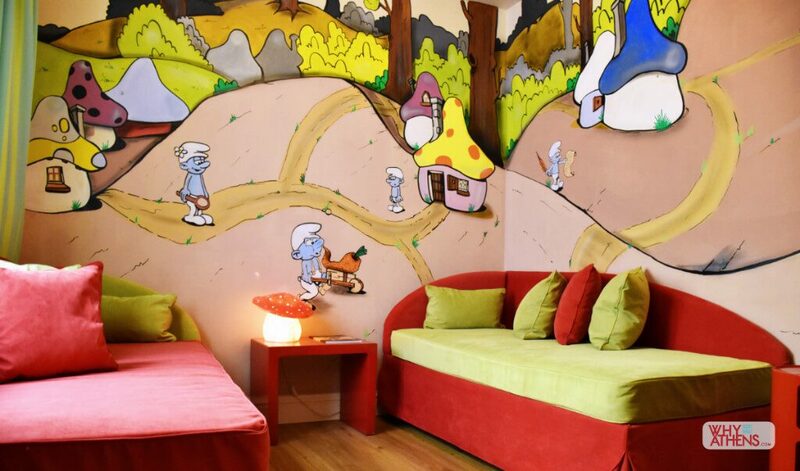 Embracing pop culture, contemporary furnishings and the grittiness of old Athens, Pallas Athena is a favourite for those travelling with young families due to its six well-sized interconnecting rooms and the cartoon wall murals painted by local street artists. Find more information on the Pallas Athena Hotel here. 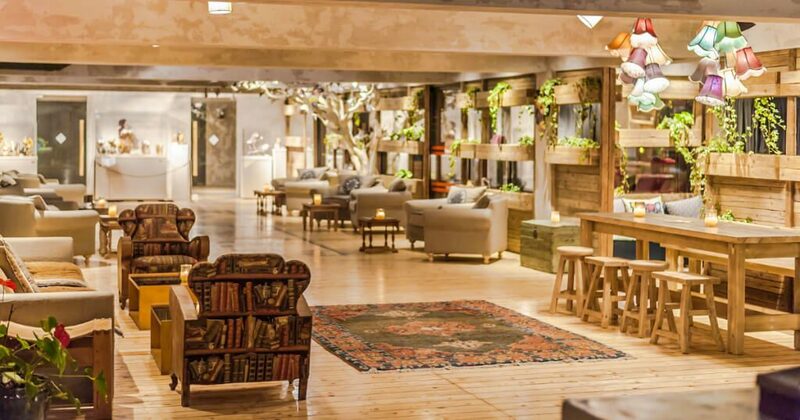 Located in an iconic 1960’s modernist building, the Hilton Hotel in Athens is a popular choice with an excellent sized swimming pool, oversized rooms and one of the best buffet breakfasts in town. Find more information on the Hilton Athens here. 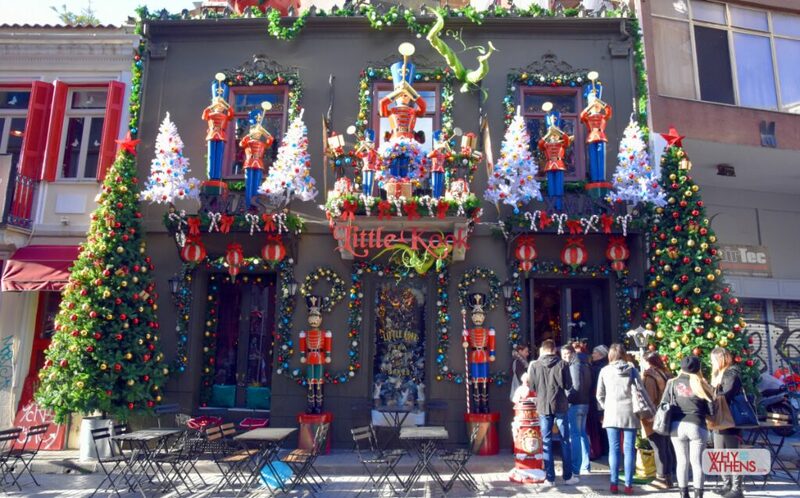 For handcrafted wooden toys, Bartolucci in Plaka offers a huge variety of traditional wooden toy soldiers, aeroplanes, puppetry and more. There is still time to show your kids how grandma and grandpa used to play! | 6 Kydathinaion St, Plaka. T. +30 210 3234 527. Taxis and the excellent metro system are the easiest ways of getting around. Older children will love the ancient artefacts in Syntagma station with the ancient city that was uncovered during excavation works. 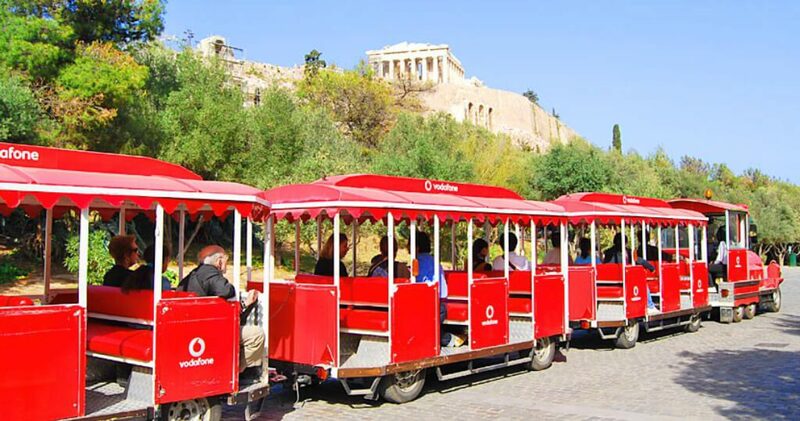 Read our guide on Athens Public Transport here. 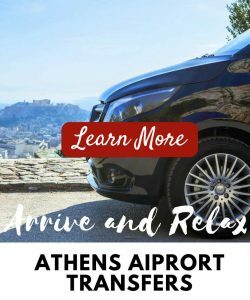 If you are arriving into Athens Airport or a sea port, you can pre-book a transfer service to meet your family at the arrival gates or docks for a hassle free arrival. Find transfer options for families (big or small) here. 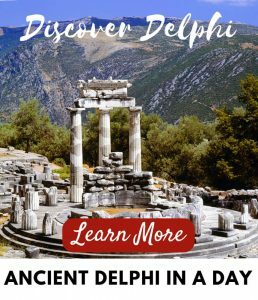 You can find all sorts of convenient tips and tricks for your trip to Athens like daily storage lockers and emergency telephone numbers in our Athens Travel Guide and our essential Athens Information Guide. 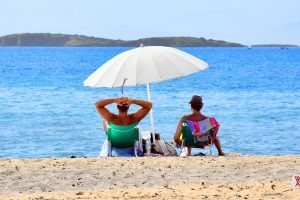 If you want to brush up on your Greek, you can find some basic Greek words with audio to practice with some colloquial phrases you’ll hear during your visit. 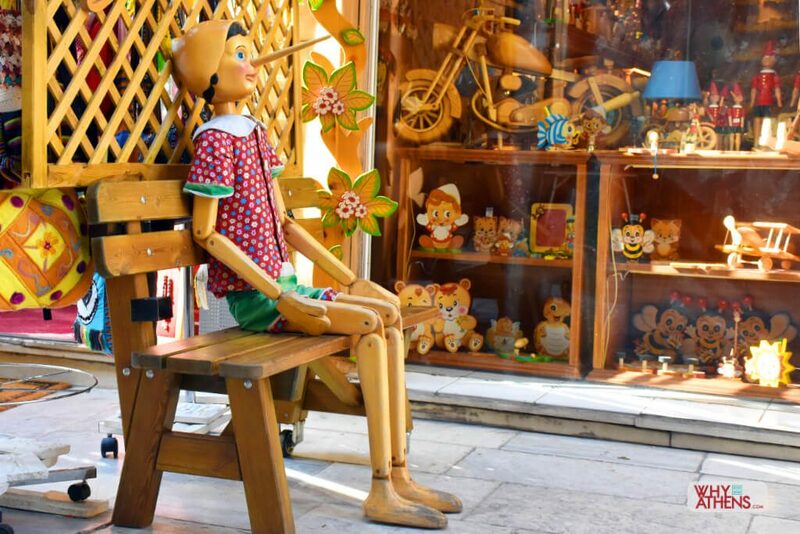 Why Athens would like to thank our guest contributor, Katerina Panayotopoulou for sharing her wisdom, knowledge of experiencing Athens with kids. Katerina Panayotopoulou has been in the travel industry for over a decade. 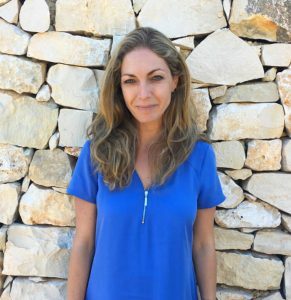 Born in Athens, she has spent much of her career as Managing Director of a luxury travel PR consultancy in London. She has lived in a number of cities around the world, including London, New York, Geneva and Athens. This post was not sponsored in any way.